Stars? Pooh.From the Sunday markets. I don't often go for biography, but Albert Tucker nailed me to the spot once at an exhibition and Joy Hester, his 'fellow artist, great love and muse', painted Girl with Book on Head, that has been an icon to me for years. Janine Burke - Dr. Janine Burke is an art historian and biographer, and has written eight books of fiction and art history. She has degrees from the University of Melbourne and La Trobe University. She was a lecturer in art history until she resigned from her job to become a full-time writer, which she has been for the last ten years. 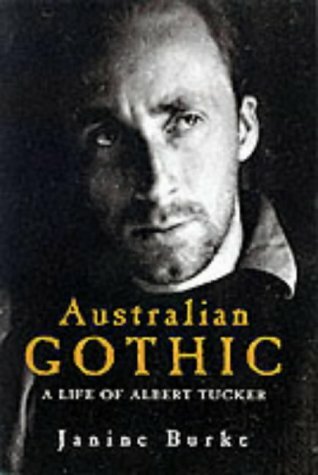 Her books include Australian Women Artists, 1840-1940, Second Sight, which won the 1987 Victorian Premier's Award for Fiction, and Company of Images, which was shortlisted for The Age Book of the Year award and the Miles Franklin Award. Her novel for teenagers, Journey to Bright Water, is published by Mammoth. She also contributed to Libby Hawthorn's anthology of short stories, The Blue Dress. Janine has curated exhibitions of historical and contemporary art, and currently holds a research fellowship at Monash University. She lives in Melbourne, where she regularly reviews, lectures and broadcasts on radio.